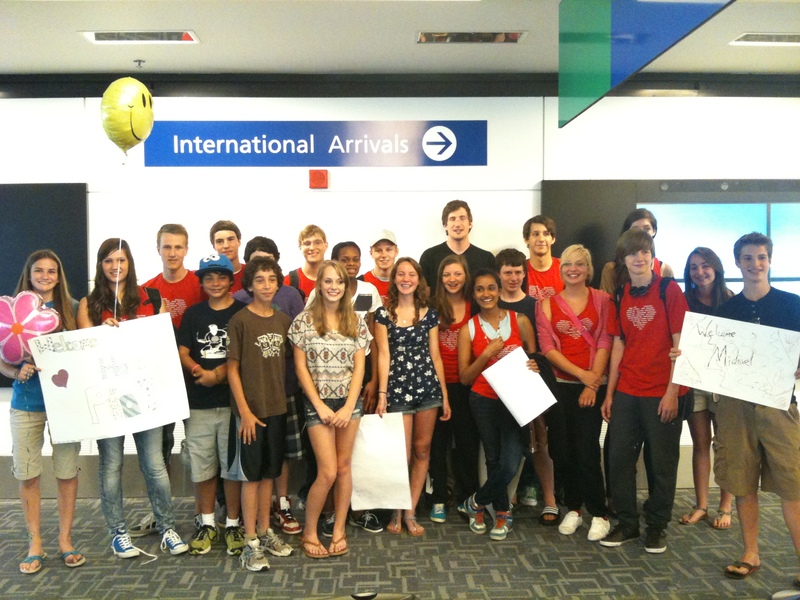 If you’re from out of town, CISV Detroit welcomes you to the heartland of the United States. We’re thrilled to host CISV USA’s national conference — called CISV in Motion — from Oct. 18-21, 2018. Welcome to the Motor City! We offer warm hospitality to any CISV person from any part of the world. If you are a CISV person visiting our city — or anywhere in the Great Lakes state of Michigan — please let us know. There are many fun and interesting things to see and do in Detroit and the surrounding area. Detroit is famous for its music, its sports, its food scene and its cars. American inventiveness — yea, we invented that. Here’s a short video about why Detroit is a great place to live — and to visit. 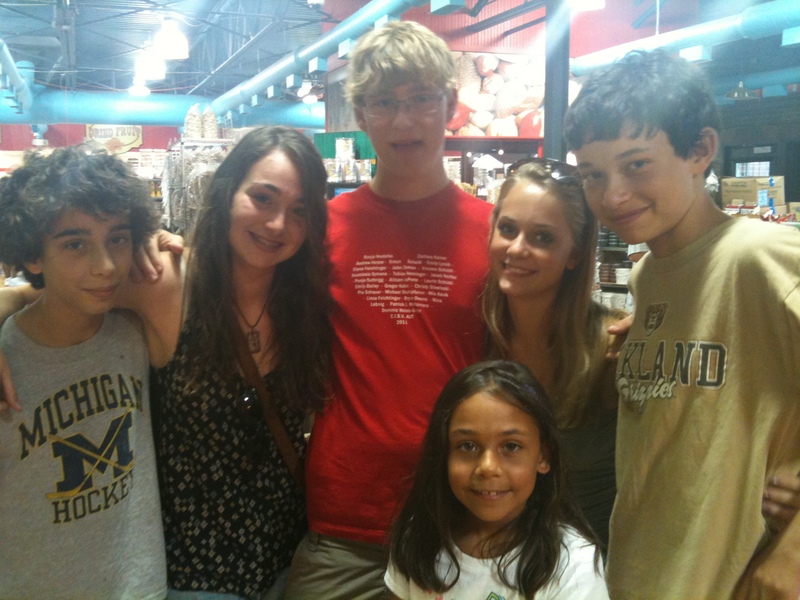 CISV Detroit is among the largest, oldest and most active CISV chapters in the United States. We have many members ready to help visitors appreciate our city and connect to its people. Can you find a lot of poverty and other societal problems in Detroit? Yes. Is it still a great place to visit? Absolutely. If you spend time with CISV Detroit, you will not only get an insider’s look at a city full of heart, you also will get the chance to contribute to solving some of its problems. Here is our culturegram with a lot more about our city, state and country. It includes information about our airport, average temperatures, the cost of various items in Detroit, and a some fun cultural facts about our region. Special welcome to our Interchange partners! In summer 2018, we are eager to host Interchange delegates from Mongolia France! Our Interchange hosting calendars typically include a Welcome Party at a park or home; a mini-camp; a Detroit day spent touring the local sights; a service day; a family vacation; a post-vacation social gathering and a National Night/farewell party. 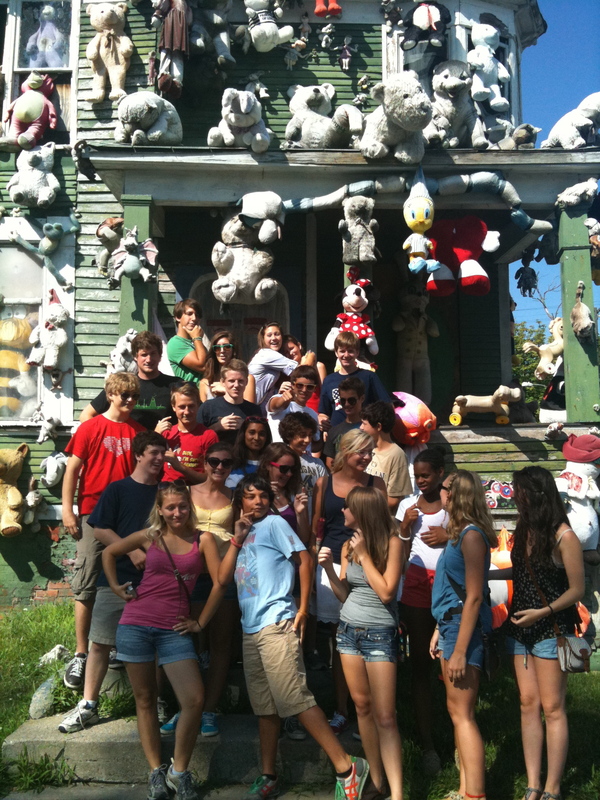 The 2011 Interchange toured some street art called The Heidelberg Project. The 2011 Interchange delegates also toured Ford Stadium, where the Detroit Lions football team plays. Here the delegates are practicing their cheerleading moves. 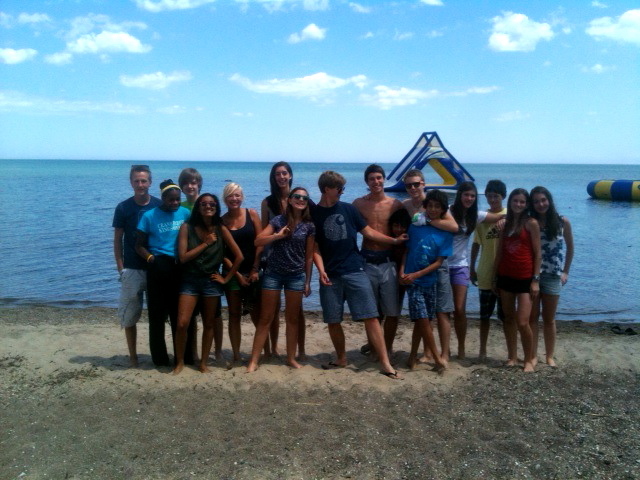 The 2011 Graz-Detroit Interchange gathered on the Lake Huron beach. Two delegates from the Graz-Detroit Interchange at mini-camp in 2011. 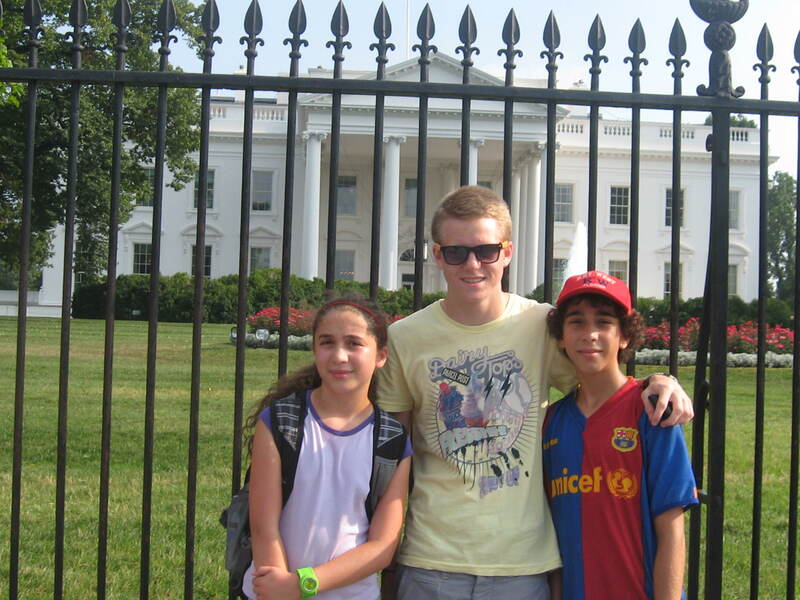 Graz delegate Simon Scheikl (center) with his Detroit Interchange partner, Bryce Owens, and Bryce’s sister, Leila Owens, standing in front of the White House during their family vacation trip. 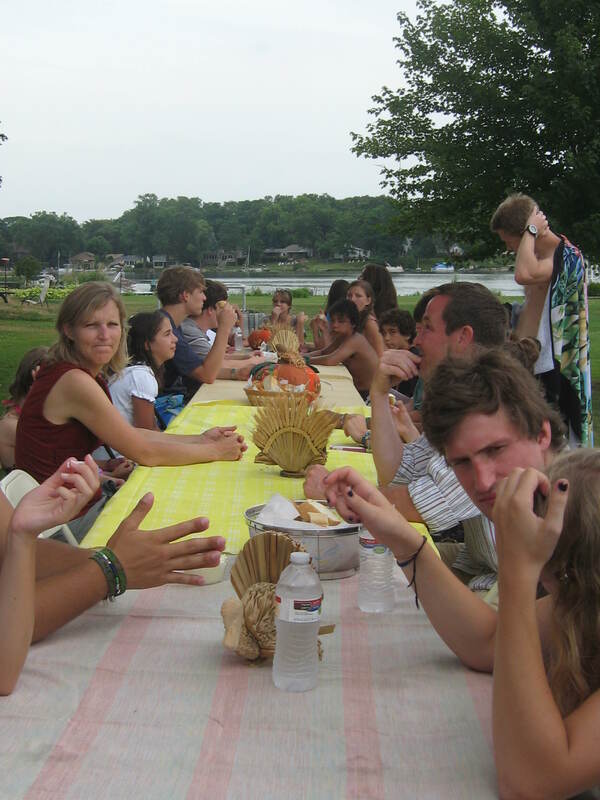 Thanksgiving dinner in July on a lake near Detroit, 2011 Graz Interchange.